On the one hand Baku is fortunate to have oil resources, on the other it is very unfortunate due to the lack of water resources and their remote location. 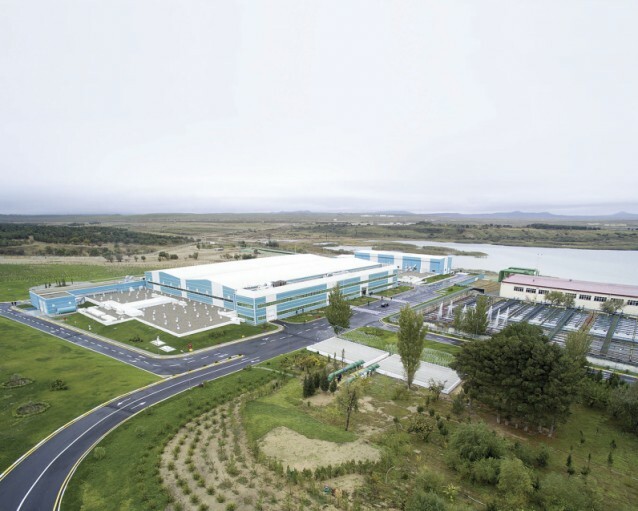 Systems for extracting water from groundwater, reservoirs and wells formed over time and were widespread in Baku and on the Absheron peninsula. In the early 19th century, water was delivered to Baku only via two pipelines: water from the Khan pipeline was drained to the old water reservoir near the Khan’s palace in Icheri Sheher (Inner City) and water from the Mosque pipeline was delivered to the Juma Mosque. The latter was brought from water wells dug on the slopes of the mountains surrounding the city to the northwest. The wells were connected by underground water galleries, along which the water flowed towards the pipeline and then was delivered to reservoirs by means of feeding wells. 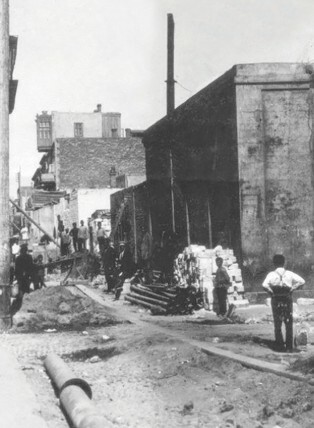 In the second half of the 19th century, the expansion of Baku as a provincial centre, large port city and industrial centre, as well as the growth of its population due to the development of the oil industry raised the issue of expanding the water pipeline system. As the population residing in the Outer City (Bayirsheher) couldn’t use the drinkable water from the fortress, they had to dig wells. However, sometimes there was no drinkable water in those wells and if there was the water was often very salty. Therefore, this became one of the most acute problems that the city administration had to solve. The issue of supplying drinkable water in Baku has stood for about 20 years... At the beginning of every four-year period when the composition of the Duma is renewed, this issue is raised and hotly debated, a certain amount is allocated for various research, studies, visits etc. and then the issue goes to the archive to be discussed in the following four-year period and causes new expenses. 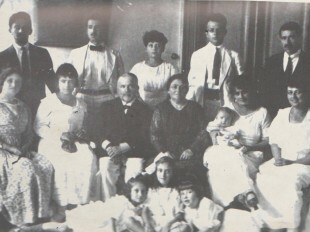 1899 was the decisive turning point in the history of Baku’s water supply. On 3 August of that year, the English engineer William Lindley was invited to Baku to develop the water pipeline project. Before coming to Baku he had already become famous for constructing multiple water and sewerage systems in more that 30 cities across Europe: he managed the construction of the water pipeline in Warsaw, the city sewerage system in Prague, construction of the water treatment station in the Bubenets region close to Prague, and developed the water supply and sewerage system in the city of Lodz in Poland. Lindley, who accepted the invitation to Baku, faced great challenges here, undergoing an intense and persistent struggle for the Shollar pipeline. Later, the English engineer, with about 40 years of experience, admitted that he had never faced such a difficult job from a technical point of view as the Baku project. 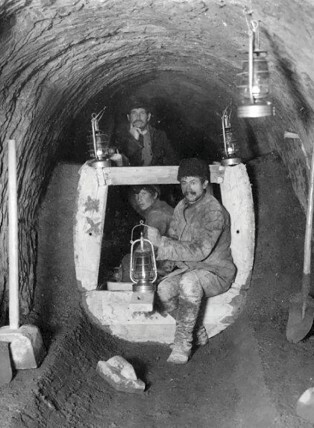 In 1899 Lindley came to Baku and began his research, concluding that the search for both underground and spring water should start in the mountainous Quba-Qusar-Khachmaz area of northern Azerbaijan. At a meeting of the Baku City Water Supply Commission, Lindley kept trying to prove that the high plates between Qusar and Khazra were very rich in underground water, appearing as a result of snow melting on the Shahdag and Shahbuzdag peaks and the abundant rainfall there. However, the Baku City Duma didn’t support the project to search for underground water. Instead, the majority of Duma members backed the Kura water pipeline proposal, following which the city municipality assigned Lindley to design projects for laying pipelines from the Kura and Samur rivers. However, there were those in the Duma who did support Lindley’s proposal. Among them was the prominent Azerbaijani philanthropist, Haji Zeynalabdin Taghiyev, who participated closely in discussions of the water pipeline projects, made practical suggestions and was one of those on the front line when the Shollar project was proposed. We know also that he travelled to Paris to learn the expertise of water pipeline construction. As an active lobbyist for water from Shollar, he proposed to lend 25 thousand roubles to the Baku City Administration for Lindley to conduct practical tests at Shollar. However, the Duma rejected Taghiyev’s offer. On 25 March 1909, Lindley proposed three projects to lay water pipelines from sources at the Kura River, the Samur River and Shollar to supply water to Baku and its districts. Based on his long-term experience and study of the water patterns at these sources, Lindley explained the benefits of the Shollar water pipeline and proposed this project above the others for the following reasons: Firstly, the Shollar pipeline provided ground water that had no bacteria and was of a much higher quality than the water of the Kura and Samur rivers; secondly, there were no nitrogenous substances in Shollar’s water; thirdly, as the water in the Kura and Samur rivers wasn’t clean, water purification filters would have to be installed, whereas there wouldn’t be any need for filters in a pipeline from Shollar; fourthly, the temperature of the spring water at Shollar was stable in winter and summer, while it changed in the Kura River. Taking into account that summers were hot in Baku, it was more reasonable to supply water at a permanently mild temperature. The English engineer also highlighted the technical benefits of the Shollar pipeline. Although water from the Samur River flowed to Baku, high lifting siphons would need to be installed, necessitating strong constructions and reinforcement of the soil. If any part of the pipeline were to be damaged, the permanent water supply could be interrupted. In the case of a pipeline from the Kura River, three transmitting stations at a lifting height of 173 metres would have to be constructed and the ground was viewed as unsuitable. However, for the Shollar project, only one transmitting station would be needed in Sumgayit and its lifting height would be up to 139 metres. The ground around the area the proposed pipeline would be laid was mainly advantageous too and, finally, the price of water sold from a Shollar pipeline would be the lowest. 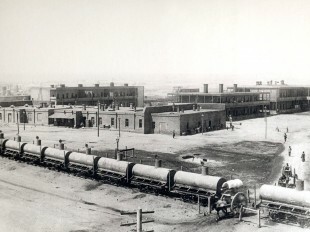 On 5 May 1907, the City Duma had taken into account Lindley’s arguments and approved the Shollar water pipeline project. In so doing, the issue of constructing the Shollar-Baku water pipeline was finally settled. Its construction started in 1911, following which several main challenges appeared, such as the lack of workers, an outbreak of malaria and the beginning of World War I. The insufficient workforce was clear from the very beginning: the difficult working conditions, low salary, frequent cases of malaria, particularly in the northern part of the construction area, caused strikes and forced workers to quit. 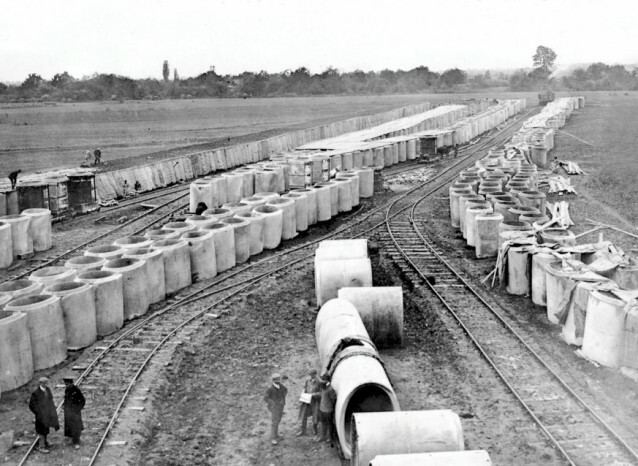 The construction period then coincided with the beginning of World War I, which negatively impacted railway transportation, meaning necessary materials, particularly cement, were not delivered on time. However, despite all the difficulties, construction of the main part of the water pipeline and its necessary installations was completed on 6 December 1916. During the six years of construction of the Shollar-Baku water pipeline, 35 contracts were signed by the City Duma and more than 170 large orders were given. In total, construction of the pipeline cost the treasury 31.3 million roubles. Up to 1917, when the pipeline was launched, nine wells were dug on the territory of Shollar. Initially Lindley’s project had envisaged digging 13 wells but in the end the output of the working wells exceeded all his original calculations, providing much more than the projected 250,000 buckets of water per day. Lindley’s thoughts regarding the quality of Shollar water were also justified. The bacteriological and chemical tests conducted by the City Sanitary-Medical Bureau showed that the water coming from the wells, at a temperature of 15°C, was clean and its concentration had reduced by the time it reached Baku. 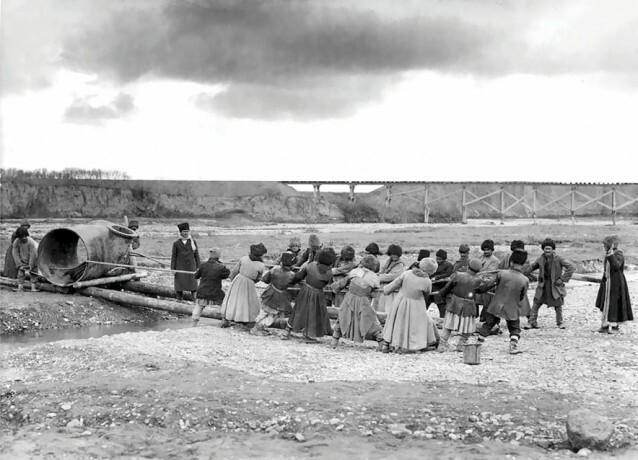 Finally, on 21 January 1917, water started flowing in Krasnovodsk (now Samed Vurgun) Street and on Sunday, 22 January, a large crowd attended as the chief constructor of the Shollar-Baku water pipeline William Lindley discharged the water which filled the main lifting reservoir located behind the area called “Shamakhinka” with a volume of some 4.5 million buckets. In such a way, after 17 years since the initial explorations were carried out and six years since the beginning of the water pipeline’s construction, water from Shollar was delivered to Baku. In honour of the launch of the water pipeline, the City Duma decided to establish scholarships in educational institutions in Baku and to erect monuments near the reservoirs in memory of all those that died during the pipeline’s construction. Baku didn’t forget about the head of the project, the eminent English engineer William Lindley, either. The City Duma decided to reward the engineer with 50 thousand roubles for his tireless energy, knowledge and administrative talent, to name Birja Street (now Uzeyir Hajibeyli Street) in his honour, and hang portraits of him in a meeting room at the City Duma, as well as in all the main buildings of the City Water Pipeline. Lindley was also elected as an honorary citizen of Baku. At that time, laying a pipeline from the Shollar springs caused a lot of debates and many people doubted the correctness of W.Lindley’s method of supplying water to Baku. There were many doubtful thoughts both in the City Duma and scientific communities about the possibility of finding a sufficient volume of high quality water in Shollar and even over the expediency of delivering water from a territory rich with ground water via a concrete pipeline to such a far destination. Now we can say for sure that in the more than half a year that the pipeline has been working, the concerns expressed at that time did not become a reality and that the grand project of chief engineer Sir William Lindley was absolutely reasonable. In 2017, it is the 100th anniversary of the Shollar-Baku water pipeline, a multi-million rouble infrastructure project which provided Baku with a permanent and reliable water supply - the life blood of the city’s population. The history of the Shollar pipeline witnessed many tense and contradictory moments, given the struggle of ideas and arguments over the reasonableness of the project but we can say without exaggeration that it was one of the greatest infrastructure projects of its time. 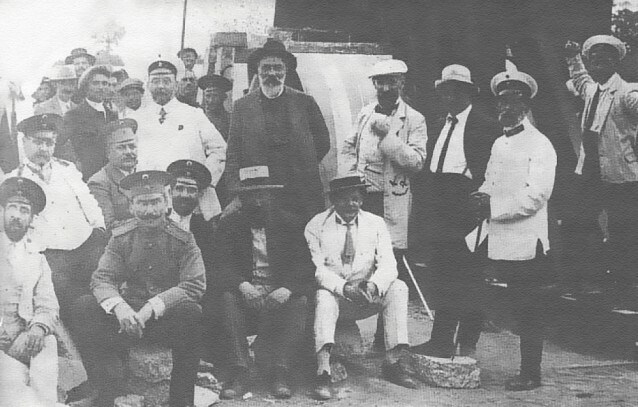 Despite all the challenges, this pipeline, laid under the conditions of World War I hundreds of kilometres from the city amid the poor working conditions in the regions and the threat of malaria, became a symbol of technical engineering and human will and a victory for those who had supported the Shollar project in finding a solution to the critical problem of supplying water to Baku. About the author: Farhad Jabbarov (PhD in History) is Secretary of Science at the National Museum of the History of Azerbaijan.